Thankfully for my wallet, I do not have a major weakness for shoes (handbags and capes are another story). However, if I did I’m fairly certain that I’d want to add a pair of Louboutin’s to the stable. Known for his towering heels – some are 16cm! – and sensational embellishments (think studs, sparkles and straps). French footwear designer Christian Louboutin has turned his remarkable talent to creating a special collection for some very tiny feet. These particular feet are accustomed to very high heels and a designer wardrobe and they belong to Barbie. Barbie fans will want to get their hands on this latest collectors doll but I just like the tongue-in-cheek slide show featuring the designer himself fawning over Barbie. 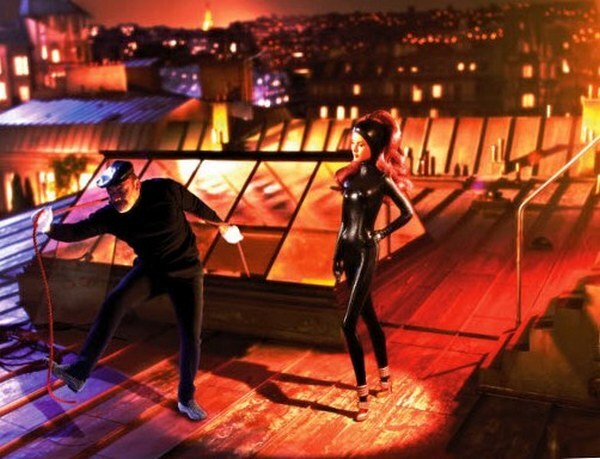 Enjoy the amazingly styled shots of Louboutin and Barbie during a glamorous year-long adventure in Paris which includes red carpet appearances, a whirl on the trapeze, a safari-themed photo shoot and a dream sequence as a jewel thief. As you would expect, it’s all about the shoes – silver sequin stilettos, fringed boots and studded sandals. 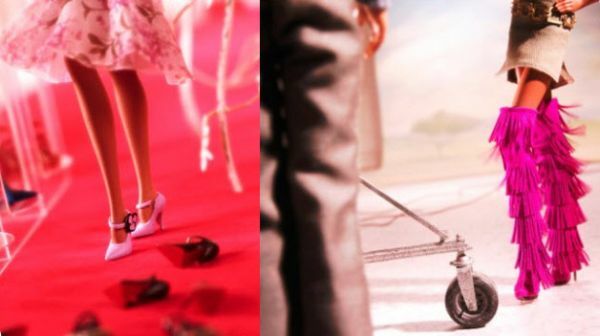 The Louboutin Dolly Forever Barbie comes with a collection of four pairs of red-soled Louboutins, each with their own shoe box and bag. Dolly Forever is dressed in a khaki mini dress, sunglasses, gold extras and Forever Tina fringed boots. The Louboutin Dolly Forever Barbie is £100 and is available from Net-a-Porter who ship to Australia. Also available is Cat Burglar Barbie. If Dolly Forever is not enough for you, go mad at the Shanghai Barbie store we featured back in October 2009.